Lyor Cohen, head of music at YouTube, has warned that new EU copyright legislation could have a disastrous effect on fan videos and mixes. In a newsletter published on YouTube for Artists, he said the legislation in its current form would "create severe unintended consequences for the whole industry". The Directive on Copyright in the Digital Single Market is intended to update existing intellectual property laws for the digital age. Cohen's comments relate to Article 13, which will require sites like YouTube to stop users sharing copyright-protected material (such as music) illegally. The article states that: "online content sharing service providers and right holders shall cooperate in good faith in order to ensure that unauthorised protected works or other subject matter are not available on their services." 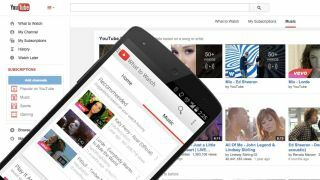 YouTube's relationship with the music industry has been a rocky one, with the site being accused of hosting videos that violate copyright and not paying enough for licensing rights. The launch of YouTube Music means artists are now more fairly and legitimately represented, but now the site is now facing the challenge of balancing the needs of its creators with those of the fans who enjoy their work and keep YouTube in the black. In his newsletter, Cohen described a meeting with Shots Studios, a media company that specializes in comedy and music videos. "I was blown away by how close they are to their community," she said. "How they encourage fans to participate and create covers, parodies, collaborations." "This reminded me why it is so important that the industry understands Article 13, which is part of the new EU copyright directive currently being finalized. Because all of this great content, this unique way to build deep connections with fans, is at risk of being blocked and removed from open platforms (such as YouTube, Facebook, Reddit). "Remixes and covers, tutorials, fan tributes, parodies - these are such powerful promotional tools for the industry. Don’t get me wrong: I’m all in favor of protecting artists rights and compensating them fairly - I’ve been fighting for this for 38 years - but we should all realize that nurturing these kind of relationships with fans and creators is one of the best things that has happened to music." Cohen isn't the only voice at YouTube arguing against Article 13; the site recently launched a standalone website protesting it, and encouraging creators to make their own videos using the hashtag #saveyourinternet. The directive is currently under negotiation within the EU, but could be passed into law within member states next year.